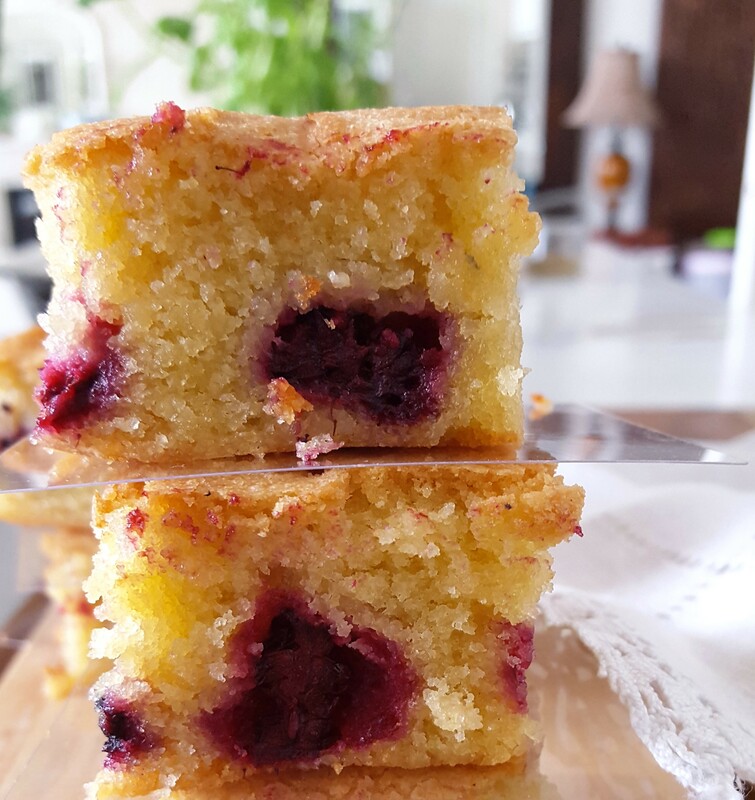 Blackberries are in season, then why not make some seriously impressive blackberries and almond cakes. This Blackberry and almond cake is full of heavenly and fresh seasonal flavours, with the added ground almond that gives the wow factor of soft, rich taste to the already delicious berries. 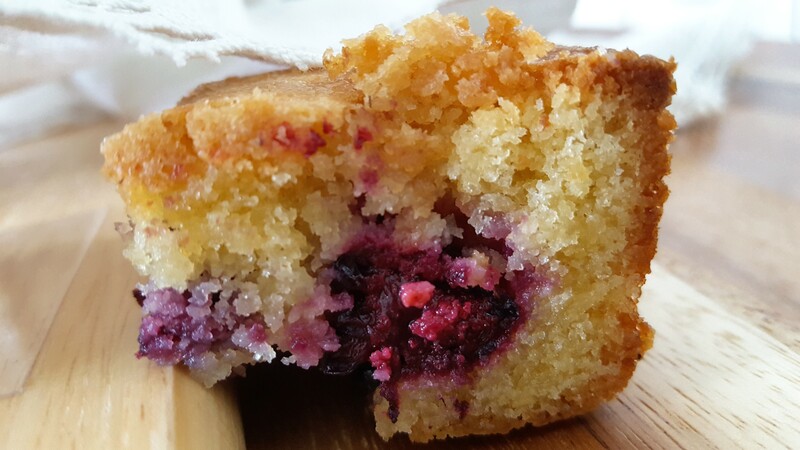 This simple cake is a certainly a great way to use up pick-your-own berries this summer. 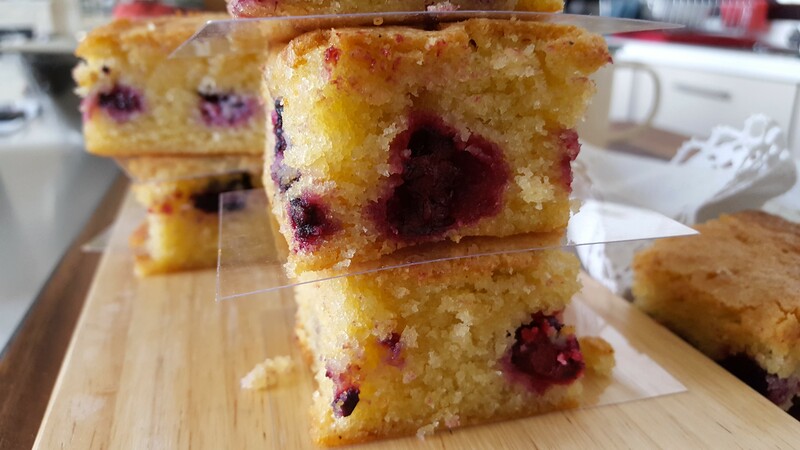 These make a delicious sweet finish for picnics or afternoon tea. 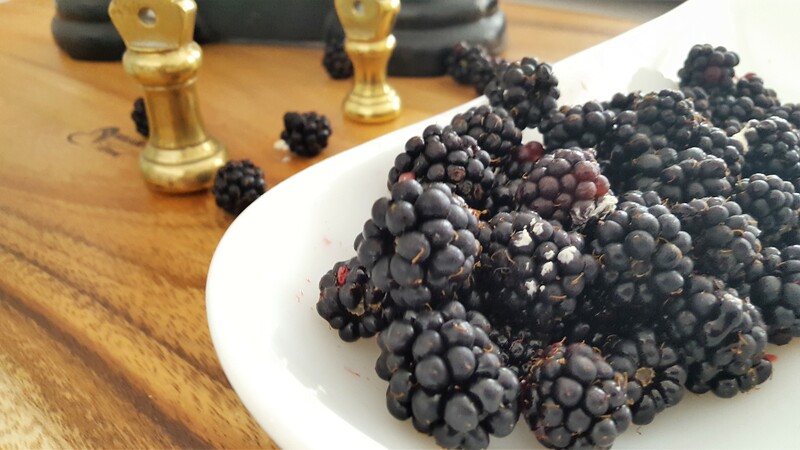 Like most fresh fruits these dark rich colour, blackberries have one of the highest antioxidant levels in comparison to some others. 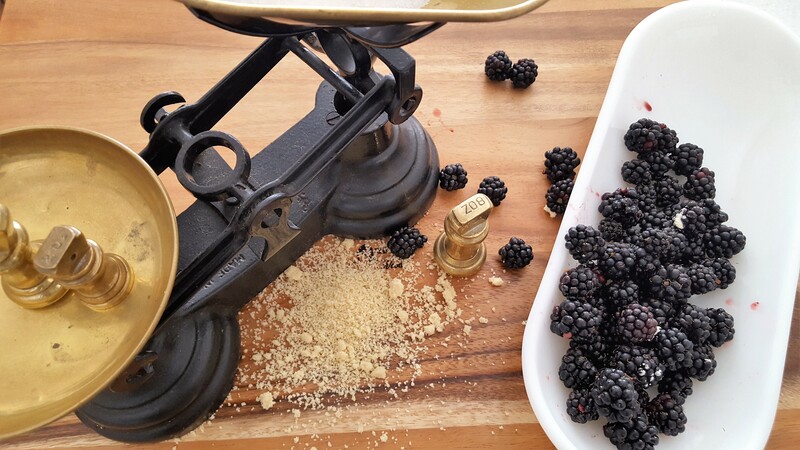 Blackberries are also rich in Vitamin C and fiber, low in calories, carbohydrates and have no fat, which makes them popular in low carb and low calorie. Pre-heat the oven to 180°C/Fan160°C/Gas mark 4. Grease a square tine 8”x8” cake tin and line the base with parchment paper. Start by preparing your dry ingredients and the berries. Sift the flour into a bowl, add the ground almond and mix well. Next put the blackberries in a bowl sprinkle a little sugar on top and set aside. This is optional – I only do it to release the juices from the berries. Put the butter and caster sugar in a large mixing bowl. Using a hand-held electric whisk together to cream until light and fluffy. Gradually add egg one at a time, whisk until completely incorporated. Gently fold in the flour/almond mix. Spread the mixture into the prepared tin. 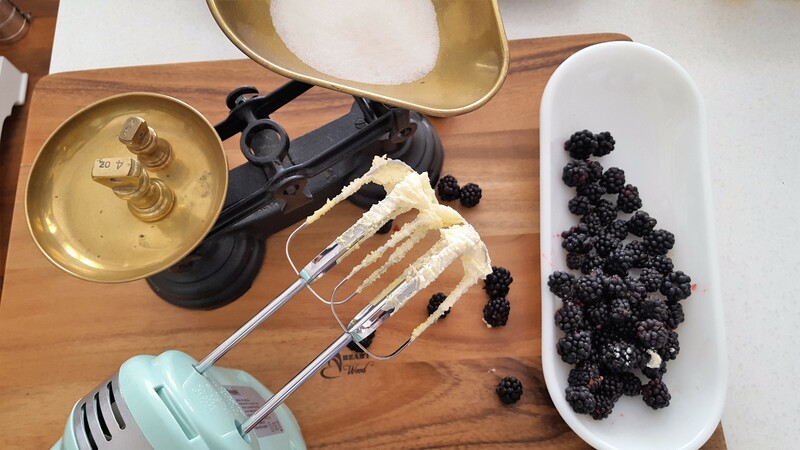 Arrange the blackberries on top, lightly push them into the cake batter as seen in the picture. Bake for 30-40 minutes, or until a skewer inserted into the centre of the cake comes out clean. 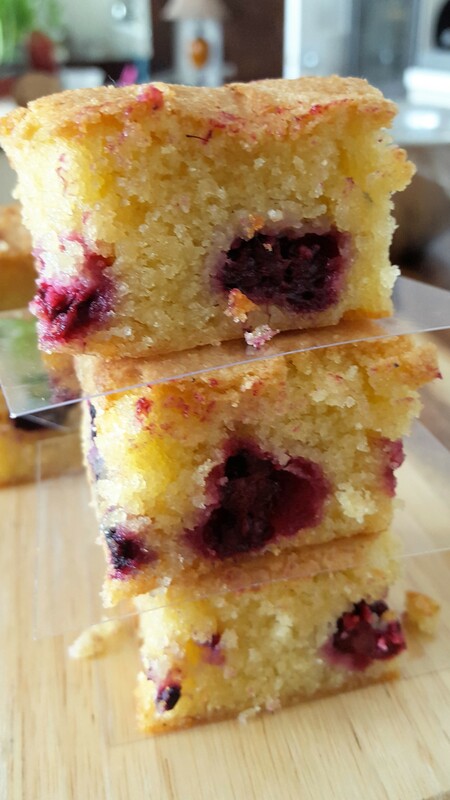 Leave the cake to cool then cut into cut into squares. Enjoy these little beauties full of flavour and fresh taste of summer. Brinda’s Note: This cake can be made as individual cupcakes which makes a great kids baking.